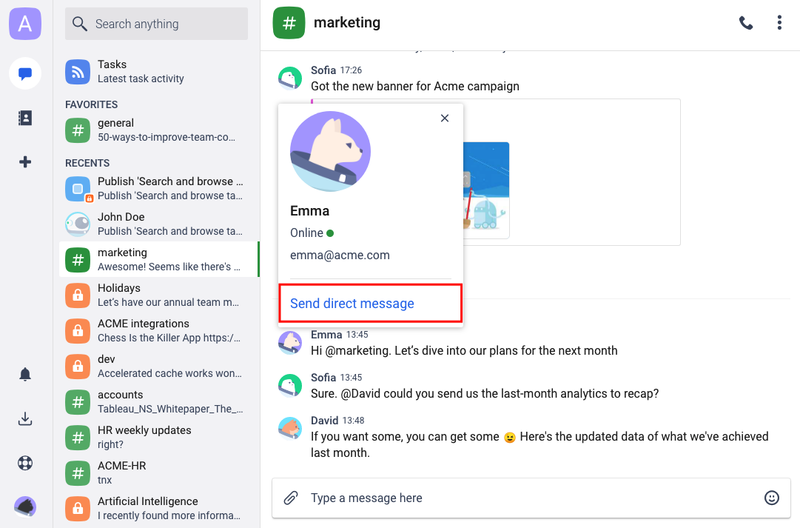 Chanty lets you create conversations: Public (team-wide knowledge and announcements) and Private (invite-only focused discussions) or start a Direct message with any active member on a team space. Conversations help you stay on the same page with your team. Discuss projects or tasks, get instant responses, share files and links or play media content – you name it. 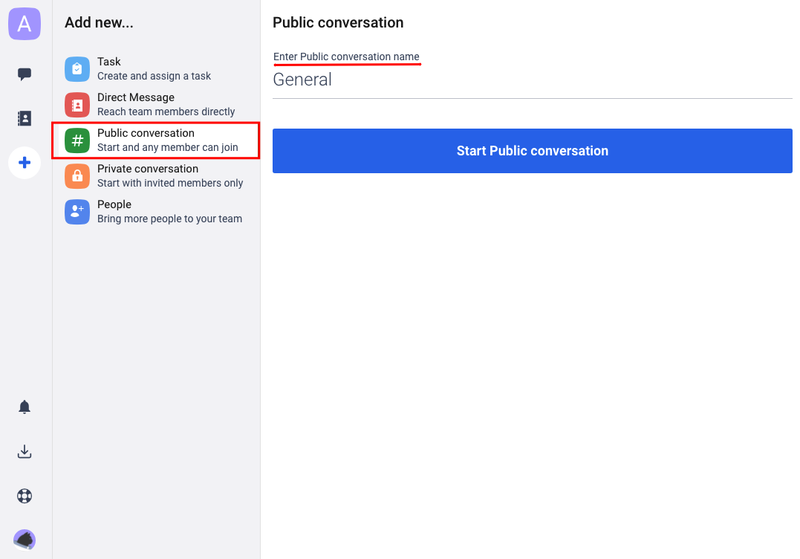 Note: All team members can join Public conversations any time. 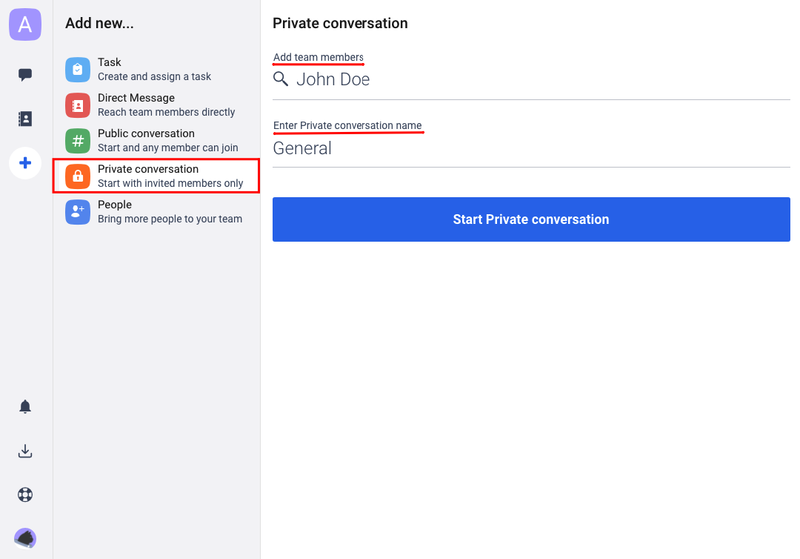 The content posted in a Public conversation is visible to all members on your team space. There are multiple ways of starting a Direct message on Chanty. Click on a team member in any conversation and choose Send direct message in the popup window. 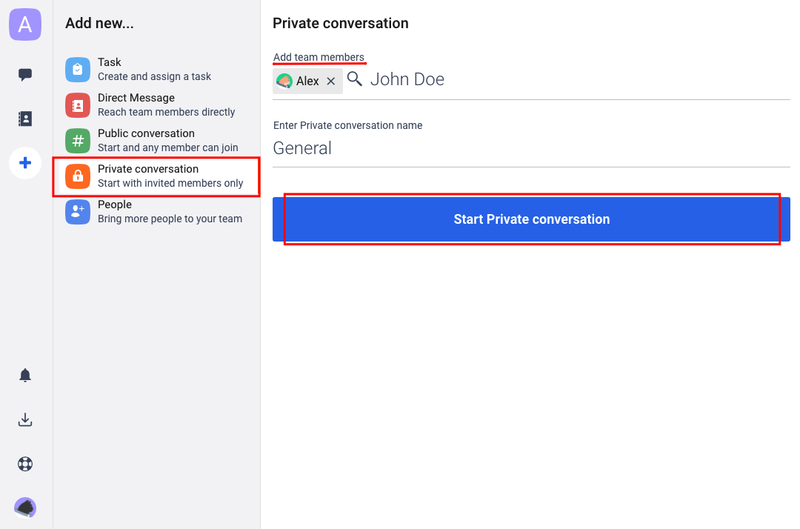 Note: All team members can create any number of Public or Private conversations and start Direct messages with other members on a team space. 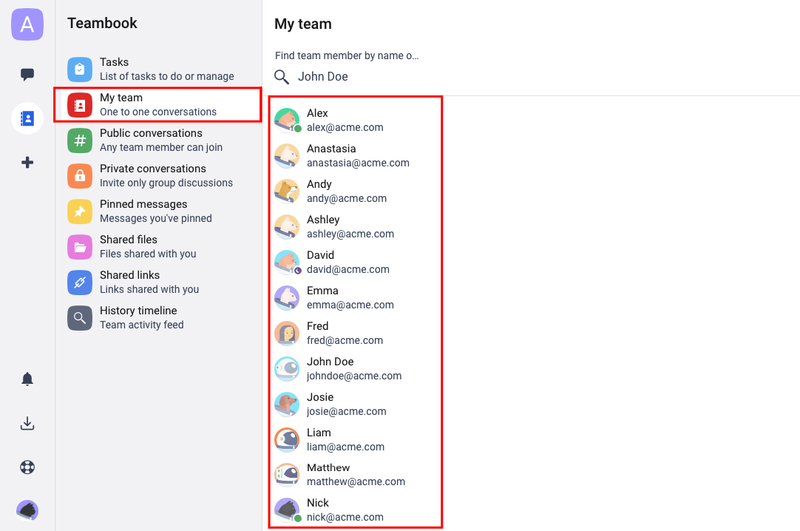 Only the team space creator can delete conversation in Chanty.